Sandra Freeman has served with her husband in Botswana since 2001 doing discipleship and business mentoring. She blogs at blog.zebrapost.net. A difficult issue often arises in ministry when the matter of ‘honour-code’ replacement isn’t only a personal matter, but significantly impacts one’s spouse. A man may be willing to forego his personal honour, but a wife may not want him to. She sees her honour as attached to his, and doesn’t want to lose the honour that comes by being married to someone of honour. Amy Carmichael (1867-1951), missionary to India for over 50 years, can be an inspiration in this area. The below story (from A Chance to Die: The Life and Legacy of Amy Carmichael, Elisabeth Elliott’s biography) reminds us that when a wife is willing to let go of her honour in the eyes of the community, her choice impacts her husband’s honour. She may be hesitant to let go of what brings her honour, because others will see her as shameful for dishonoring her husband! Relationship complexities can be significant obstacles in replacing ‘honor-codes’ in the process of discipleship. But this situation faced by Amy Carmichael can help us persevere in developing a new ‘honour-code’ in life and ministry. Gradually as we sought to know more of our Lord and the power of His resurrection and the fellowship of His sufferings, the conviction grew upon us that these things (i.e. jewels) were out of place in His own chosen workers—His separated ones—and that this conforming to the law of fashion of this world was of the flesh and not of the Spirit.” Hair oil, hairstyles, and shoes were not, in Amy’s view, an indication of the conformity to the world’s fashion, any more than were topees and umbrellas, which were believed indispensable if foreigners’ brains were not to melt. A man had asked that his wife be allowed to travel with the Band for a while in order to learn to serve others. They consented, and he came one day to ask her to give him her jewels. He did not think them appropriate for the sort of life he desired for her. [Amy’s beloved co-worker and friend] Ponnammal overheard his words with intense interest. Only the evening before she had heard a child (referring to Ponnammal) say, ‘When I grow up I will join that Band so that I may wear jewels like that sister.” Ponnammal asked the Lord about this and the answer came, “Thou shalt also be a crown of glory in the hand of the Lord, and a royal diadem in the hand of thy God.” The message was unmistakable. She saw herself as the Indian world would see her—unjewelled, a marked woman, an eyesore, an offense. To take off her jewels was unnatural, disgraceful, even hypocritical. But in the Lord’s eyes? He would see the love that lay behind the action. She went home, took off the jewels, laid them at His feet. “Lord, Thou didst empty Thyself for me. I empty myself for Thee.” One by one the other women of the Band followed. The “outside Christian world” laughed them to scorn, but an English preacher, F.B. Meyer, came just in time to strengthen the Band in its conviction. He was the first they had ever heard mention the jewel question. Other women who heard him saw it as utterly impossible. “Where would my glory be if I took them off?” said one. “Where would my husband’s be? 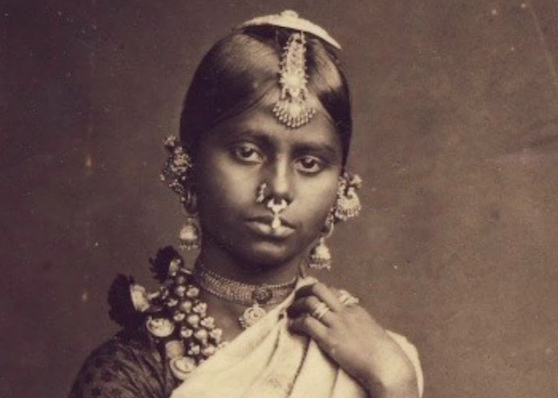 Tinnevelly women never will!” So the Band became a “peculiar people” knit together in their desire to be “otherworldly, separate unto Jesus.” When a teenaged girl escaped from her Hindu home and joined them, Amy had a talk with her about jewels. The child, with very bad grace, tore off two foot jewels. No, said Amy, Jesus was now her jewel—would she not give Him all? The girl took off all but one ring. She looked at the members of the Band jewelless, singing “Jesus is my jewel.” Off came the ring. Excerpted from “A Chance to Die- the Life and Legacy of Amy Carmichael” by Elisabeth Elliot, chapter 18. This is outstanding! Thanks for sharing it. And it goes without saying that Amy Carmichael would have no time for the Insider Movement!